So far May has been a whirlwind. In a good way, but it is flying by. A few weeks ago, I went to Dole, and this week, I went to Minneapolis to visit General Mills International Headquarters. If you ever would have told me that this blog would have given me so many amazing opportunities, I would never have believed you. But it truly has. I have met so many interesting people, acquired skills that I never knew I possessed, and visited some truly inspiring places. Life is good. The first night on the Dole trip, there was a really nice cocktail party for all of us to get to know each other. 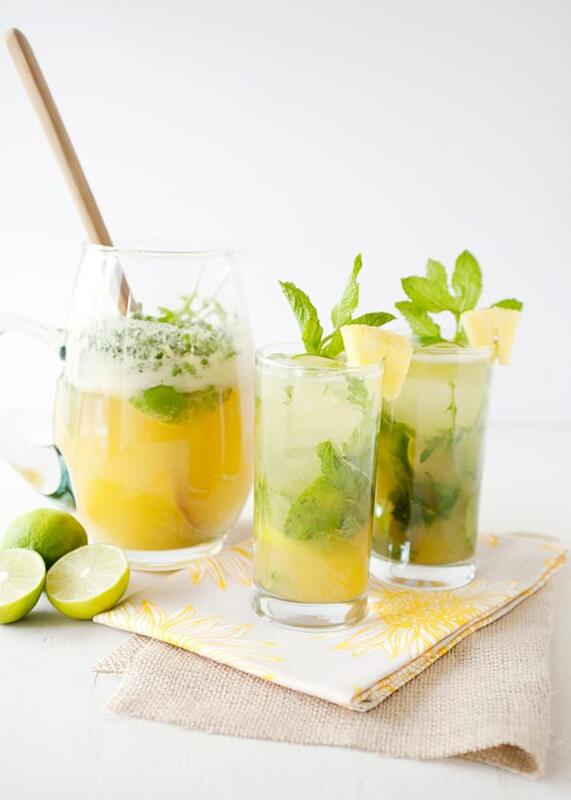 These pineapple arugula mojitos blew us all away. So fresh and light, they could very easily get you in trouble. I never would have thought to put arugula in a cocktail, but it completely works. This my friends, is the summer cocktail of 2012. Peel and core pineapple. Cut into chunks, and reserve 8 pieces. Puree the rest of the pineapple in a food processor or blender. 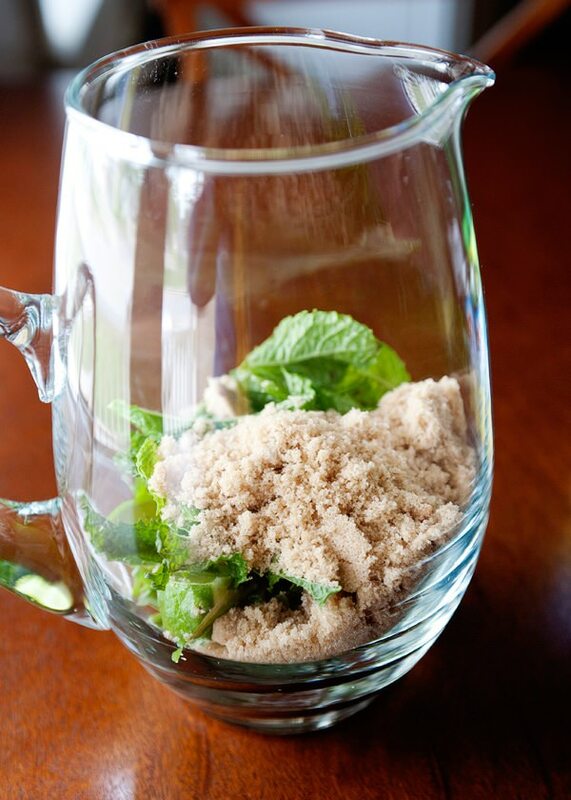 In a large pitcher, add mint, arugula, limes, and brown sugar. Crush the leaves with a spoon, muddle it really well. Add pureed pineapple, pineapple juice, and rum. Add a good splash of club soda. 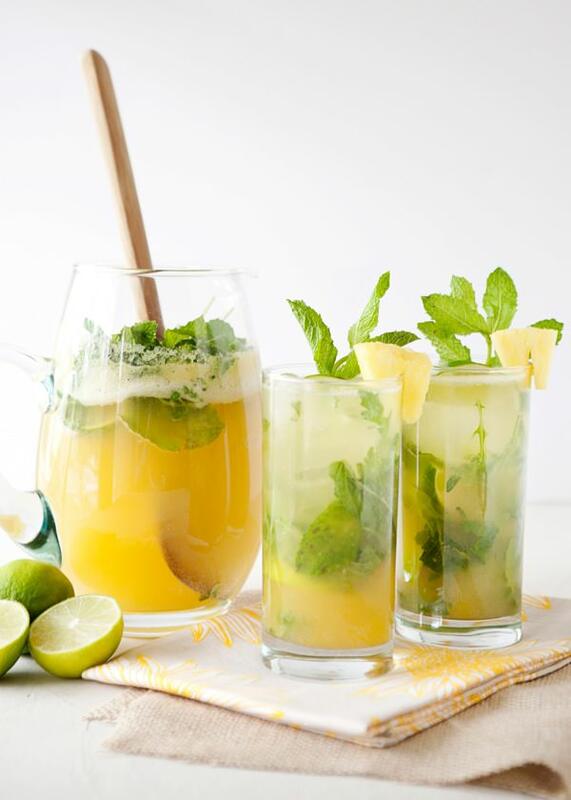 Pour over ice, and garnish with pineapple chunk, mint, and more limes. This sounds soooo yummy! Love this idea! thanks Katrina! I cannot take the credit, it was all Dole! My goodness. I want this in my belly right. now. It looks super yummy! It was so great meeting you last week! It was so nice to meet you too! You are adorable and I am very jealous of your glasses. I would have never dreamed to put arugula into a mojito. But now that you did it, I am convinced that it would be amazing. The peppery aroma, I bet, pairs perfectly with the lime and brown sugar. I adore this Bree! Me neither! I was even doubtful when I took my first sip, I got over it quickly and promptly ordered another one. I’ve been thinking about this ever since you described it last week. Looks so good. I can’t wait to try it this summer. You are in for a treat Sarah! It was very nice to meet you in person. Go Team Blueberry! Making these for my next party! Thank you!!!!! you are very welcome my friend. Stop having so many babies so we can drink them together! Sounds so refreshing…I could go for one of these right now! Me too, these could get me into some serious trubs. I made Jalapeno Margaritas this weekend for my boyfriend. 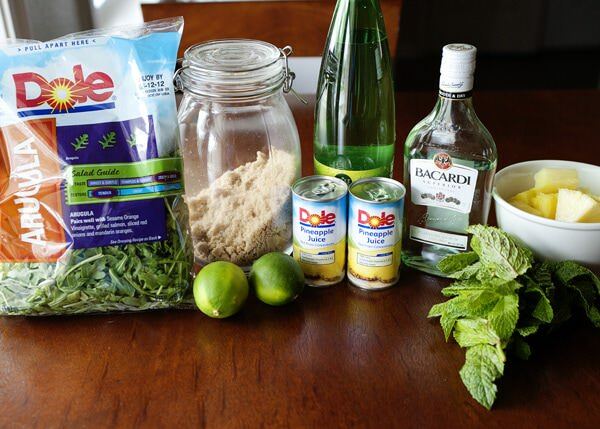 Personally, I prefer Mojitos, so I am making these this weekend. Thanks for the recipe. 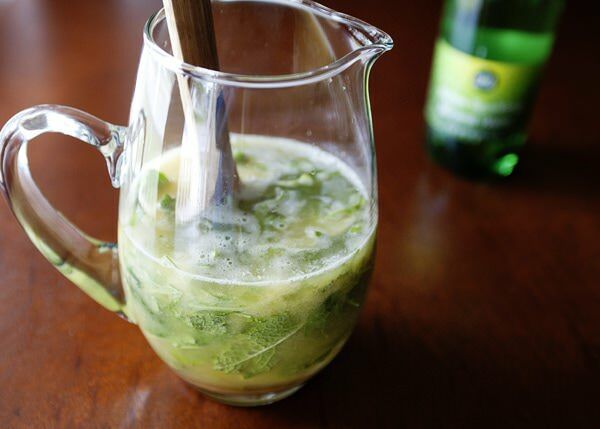 I prefer Mojitos, so I am making these this weekend. Thanks for sharing. I hope that you like them as much as I do Barry. What a beautiful cocktail! 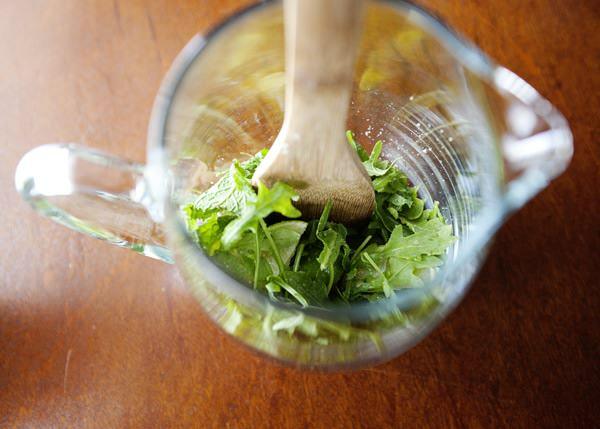 Arugula in a mojito? Inspired. It sounds weird, but trust me on this one. So good. 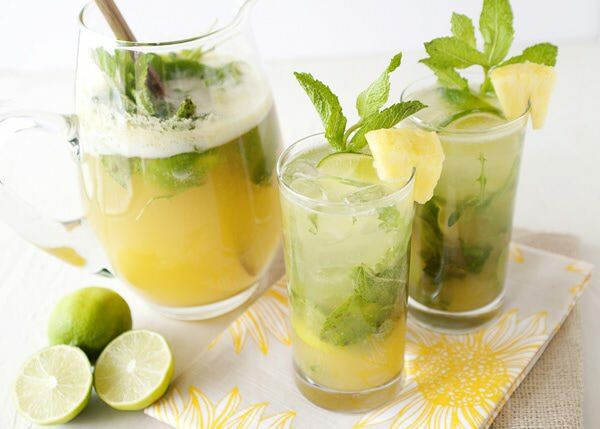 I am so down for any kind of mojito…Especially a pineapple and arugula?? So interesting I serisously need to try it! Love hearing your blog gives you great oppurtunities…Its really inspiring =) Congrats. Me too Kevin. Right now, I could totally go for one too. great drinks and i love it for my friends but try this drink papaya blue berry with apple juice and gin tell me how it turn out for you. enjoy it. I love me some Mohito!